“We believe in offering Australians choice by providing a range of solutions so they can pick the one best suited to their lifestyle,” said Jeremy Senior, Head of Consumer Electronics at Samsung Australia. 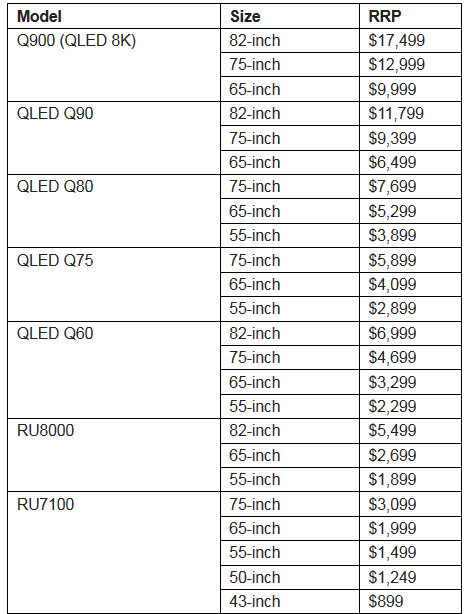 Fronted by the company's first 8K QLED TV, the Q900, Samsung's 2019 AV lineup ranges from the affordable RU8000 and RU7100 to the more premium Q80 and Q90. 8K aside, the sell here isn't too different from previous years. Samsung are still opting for QLED over OLED, and they're still relying on other non-picture quality related benefits to make up the difference. Like last year's crop, this year's Samsung QLED range runs on their Tizen smart TV interface (which now features Google and Amazon Alexa integration) and boast familiar perks like the One Connect Remote, One Connect Box, One Clear Cable and Ambient Mode. The other X-factor here is Samsung's new AI-powered Quantum processor. Courtesy of the new CPU, Samsung say their TVs now ship with a series of features that help optimise the TV viewing experience in real time. To that end, there's a new Intelligent Mode that adjusts the screen brightness, sound and volume levels of the TV to best suit both the kind of the content being played as well the ambient lighting in the room. There's also a set of anti-glare and wide viewing Angle enhancement tech in the mix, which is featured on the Q80 and above, and a dedicated game mode that supports variable refresh rate via AMD's FreeSync. As previously mentioned, Samsung's 2019 RU8000 and above TVs will work with Bixby, Google Assistant, Amazon Alexa and Apple Airplay 2 (when it arrives in the second half of 2019 alongside the Apple TV+ app). There have also been improvements made to Bixby, allowing users to easily access the content they want from YouTube and Netflix via voice. 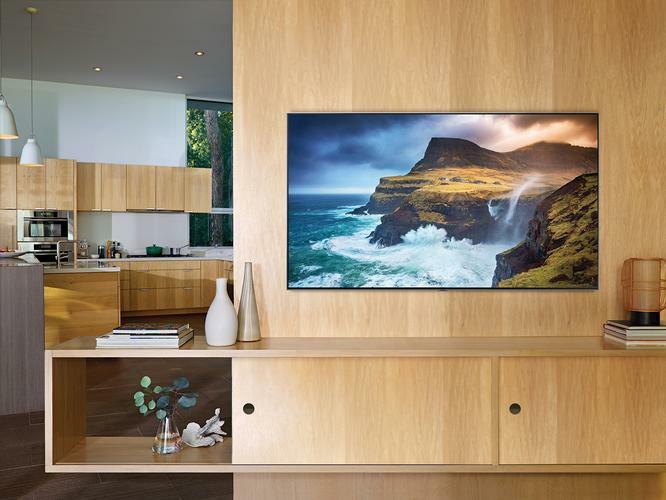 Samsung’s 2019 TV range will be available through a variety of retail outlets nationally from April 1.